You most likely grew up watching the classic Disney movies with princesses you would pretend to be while wearing a costume from Toys’R Us as you danced around the house. Maybe that was last week for you no judgement…you do you but most likely it’s a cherished childhood memory. But did you know those girls were holding out on you? How old is Snow White really? And what size shoe did Cinderella wear? Exactly. Walt Disney’s favorite princess was Cinderella. Elsa’s ice palace changes color to reflect her feelings. When she is happy, the castle is blue.It turns red when she is scared, yellow when she is angry, and purple when she is sad. When she’s really moody I imagine it looks like a Disco ball in there. The only Disney princess who has a duet with a villain is Anna from Frozen. Apparently bad guys aren’t so into singing little musical numbers with the people they’re about to corrupt except Hans he can’t keep that song to himself. Sleeping Beauty only has 18 lines in the whole movie, the least of any princess. That makes sense, seeing as she’s sleeping most of the time. “Part of Your World” was almost cut from The Little Mermaid. Why? Because some kid in the test audience spilled his popcorn, which made the chairman of Walt Disney Studios think that children would think the slow song was boring instead of thinking kids spill crap all the time. This was done to show that she was an outsider among the townspeople. But if you pay attention, you’ll see that The Beast is later wearing blue, and he has blue eyes, soit was basically meant to be if you’re into hairy guys. Cinderella’s shoe size is a 4 1/2. That has to set some sort of tiny foot record. And honestly, how hard could it be to find whose shoe that was? Are there that many people in the town with teeny tiny feet? The only Disney princesses who wear pants are Jasmine and Mulan. In other words, they were the most comfortable princesses in all the land. 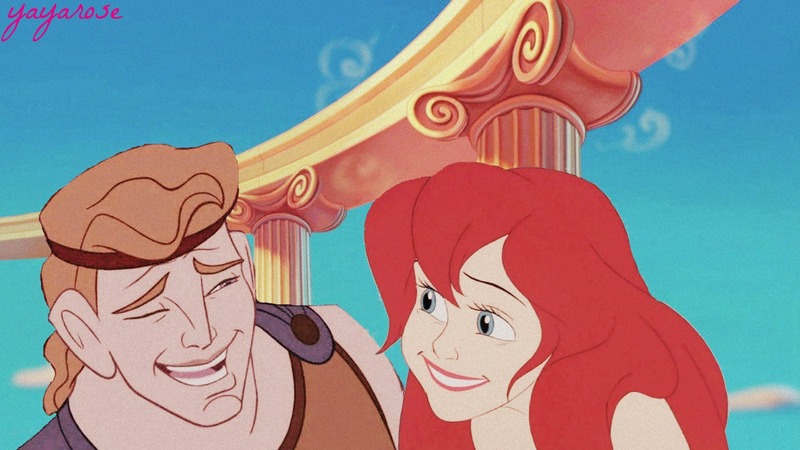 Hercules and Ariel are technically cousins. Ariel is the daughter of Triton, who is the son of Poseidon, who is the brother of Zeus and the father of Hercules. Can you imagine the volleyball game at that family reunion? The argument over the color of Aurora’s dress is based on a real wardrobe squabble. There was said to be a disagreement in the studio about what the princess’s dress color should be,so they just added that into the film. They were doing their own, “What color is the dress?! ?” thing before that was ever cool. Beyonc almost voiced Princess Tiana. Apparently she wasn’t Irreplaceable though, because herDreamgirls castmate Anika Noni Rose got the gig after Queen B didn’t think she should have to audition. 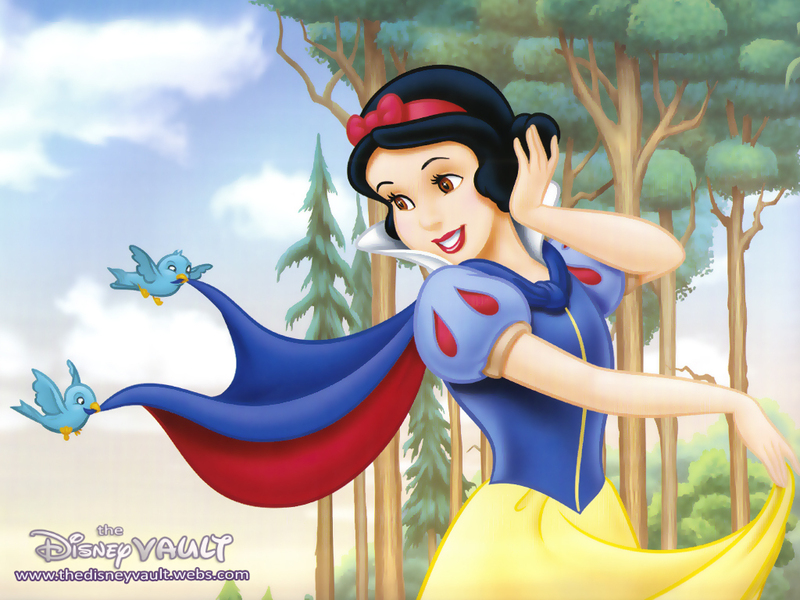 The only Disney princess who doesn’t have an American accent? Merida. Which is odd, seeing as the Disney princesses are thought to be from around the world. Cinderella’s dress transformation is said to be Walt Disney’s favorite piece of animation ever. See? Walt really did have a thing for Cinderella. Mulan and Princess Tiana are the only left-handed princesses. If you will recall, Ariel signed over her voice and combed her hair with a fork with her right hand, apparently. The only Disney princess who has hazel eyes is Belle. To be honest, they look kind of brown, but that’s the deal with hazel eyes they kind of just look like every color. Sleeping Beauty‘s Aurora is the only princess who has violet eyes. In case there was confusion,Ariel was created as a redhead to differentiate her from the mermaid in Splash. Since Daryl Hannah starred in Splash in 1984, Disney creators wanted Ariel to stand out from the famous blond mermaid by giving her fiery red hair. Because, you know, it’s hard to tell a cartoon from an actual woman/mermaid. The strand of hair that always falls into Belle’s face wasn’t meant to be a fashion statement, but rather meant to show that she wasn’t perfect. The only princesses with more than one love interest are Pocahontas and Princess Anna. Pocahontas is courted by both Kocoum and John Smith, and actually John Rolfe if we’re looking at the second movie and/or historical facts. As for Frozen’s Princess Anna, she’s pursued by Prince Hans and Kristoff. It’s hell being pretty, you know? The dance between Prince Adam and Belle at the end of the movie is reused animation from Sleeping Beauty. 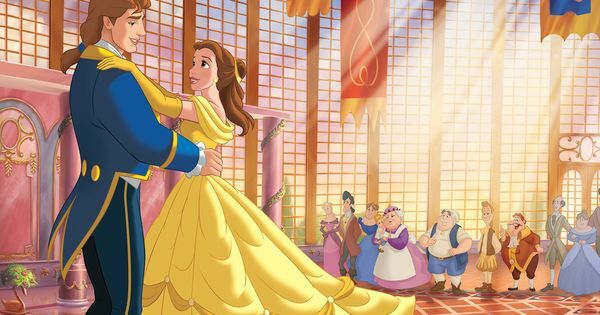 Ummm…awkward.Disney was running out of time during the production of Beauty and the Beast, so they just reused the animated dance between Princess Aurora and Prince Phillip from Sleeping Beauty. 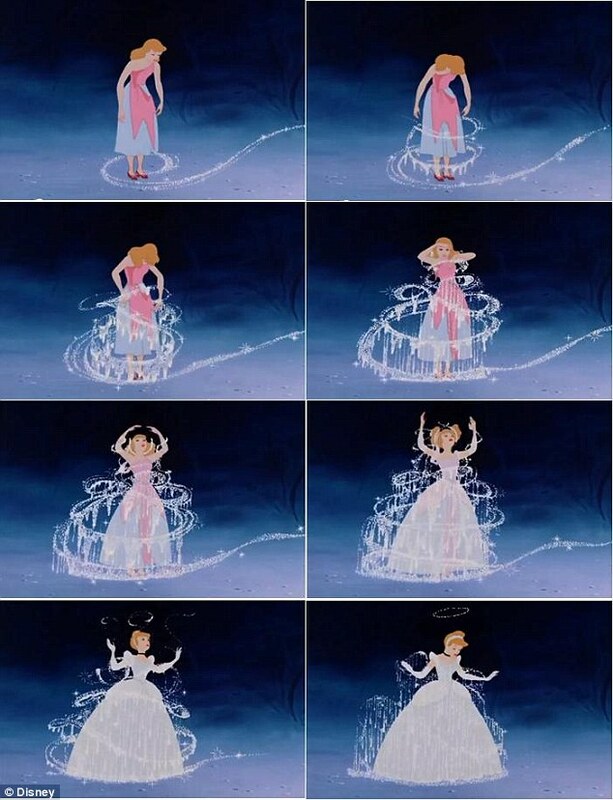 Cinderella loses her shoe not once, not twice, but three different times throughout the film. First, when she is delivering breakfast to her stepsisters and stepmother, second, when she is fleeing the prince’s castle at midnight, and finally, as she runs down the stairs at her wedding. Crazy thought: Maybe get shoes that aren’t slip-ons. Belle’s personality was inspired by a character from Little Women. Linda Woolverton, screenwriter for Beauty and the Beast, said that she drew inspiration for Belle from Katharine Hepburn’s portrayal of Jo March in the 1933 version of Little Women. The only princess who ever had an official job was Tiana. Although Cinderella worked her shoes off, she never got paid for it. Figures. Pocahontas almost had a different sidekick. Shewas going to have a speaking sidekick a talking turkey named Redfeather voiced by John Candy, which would have been prettygreat. But filmmakers decided to stick with mute sidekicks, and so we were givenMeeko, who was still kind of great. Elsa is the only princess who isn’t a teenager. She’s actually 21 years old, which means she could keep some beer on ice in that Frozen castle of hers. But Snow White? She was only 14 years old. 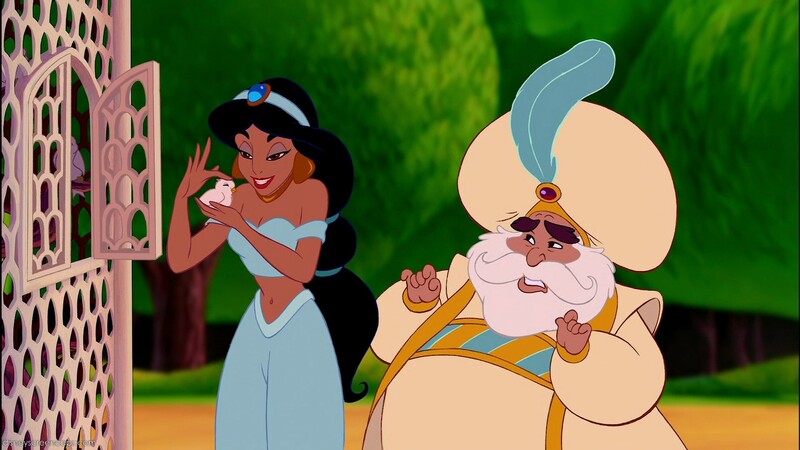 The only Disney princess to kiss a villain was Jasmine. I guess she took one for the team, but…yuck. The only princesses to encounter snow were Belle and Mulan. Until Anna and Elsa came along, of course. Aurora was the last princess to be created before Walt Disney’s death. Not that it matters though, because remember, he loved Cinderella best. The only Disney princess whose character is based on a real person is Pocahontas. Mulan’s warrior character was based on legend which we’ll get to next and it turns out that mermaids don’t really exist. In the original story of Hua Mulan, she fools the troops until the end of the war and doesn’t reveal she is a woman until after it is over. But, unlike Pocahontas, there isn’t solid proof of her actual existence. Elsa was originally the villain of Frozen.